* Flush rewrite rules on theme activation. * Custom help to add new items into an array after a selected item. // Search for the item position and +1 since is after the selected item key. // Insert the new item. 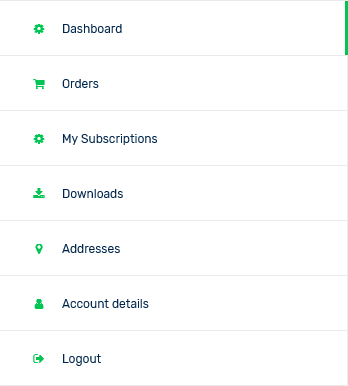 // Add the new item after `orders`. 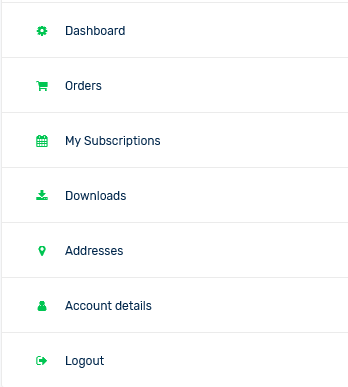 This snippet showing My Subscriptions tab with endpoint my-subscriptions with gear icon, my question how to change icon?